As 2017 draws to a close, I thought you might like to read the words of one of the teachers you are supporting at La'angum Learning Center. 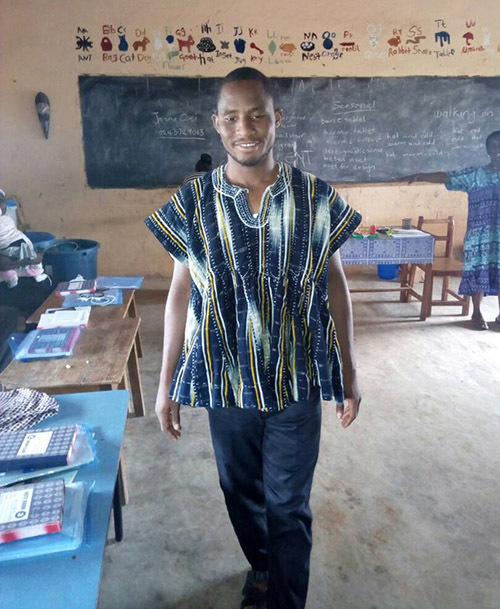 The teachers tell me that we are not just supporting "a school in Northern Ghana," but an exceptional place where every child is helped to grow to their fullest potential, no matter what their background. It is not only a school for children, but a learning experience for the staff and school community. Thank you for making this possible. MAJEED SALIFU is my name. I was born on 1st January 1986 in Gambaga. Salifu is my father and Amina is my mother. I had my elementary education in a public school by name Zobzia primary school in Gambaga, East Mamprusi District in northern Ghana. I attended Gambaga Junior High School in 2000. In 2003, I had admission into Nalerigu Senior High School. I completed my secondary school in 2006. Between 2006 and 2007, hunting and traditional herbal medicine was what I engaged in. In 2008, I was employed as a teacher assistant through the National Youth Employment Program. As a teacher assistant, I was receiving an allowance at the end of the month. Though it was not regular, I decided to further my education. I had admission into the University of Cape Coast continuing education program for a three year Diploma in Basic Education. As the saying goes, many are called but few are chosen. With prayers, hard work and mercy from God, I was able to graduate with a few colleagues in 2013. Before graduating, I attended an interview organized by my current employer (PAMBE GHANA). I was lucky to be selected (based on qualification). I was appointed as a classroom teacher, and I have been a classroom teacher in La'angum Learning Centre (L.L.C.) since 2012. Compared to the experience I had in my public school days, my presence in L.L.C. has enlightened me more on what teaching really is. Honestly, in those days as a teacher assistant what I needed to do was to make sure that pupils filled their books with notes. With this, an inquisitive parent would think that the teacher had taught his child well. When I delivered lessons, even if only a few understood the lesson, I would go ahead to deliver the next lesson, not at all concerned with those who did not understand the first lesson. Thanks to God who brought me here to L.L.C, because before I deliver a lesson, I will consider the age, interest, and cognitive development of the group of pupils I am going to present the lesson to. It is here in L.L.C. that I have learned that children can be in the same class but receive different lessons. Before I deliver a lesson, I have to plan considering the objectives of the lesson, putting the child in the center. After delivering a lesson, I observe those pupils who have not understood and plan another lesson for them. I have also learned that children need to be respected just like we adults. Even though my colleagues in public schools receive more salary than I do, I personally think that salary must be earned irrespective of the amount one receives. Being part of or contributing to shaping a child's future is what is paramount. It is often said that a good name is worth more than silver and gold. It is in the light of these and others not listed that keep me working in L.L.C. 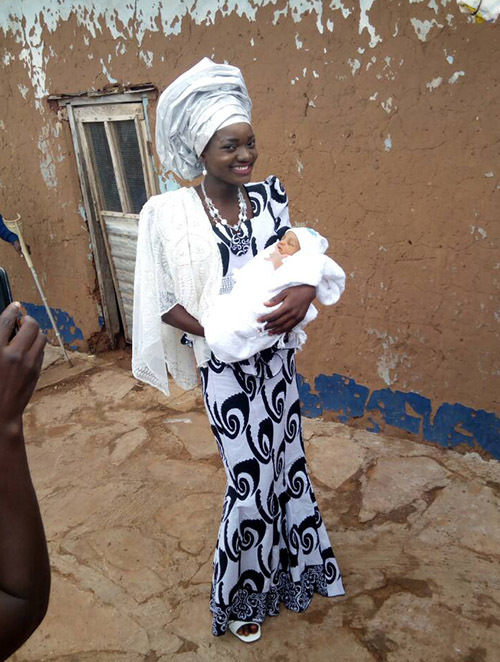 I am happily married to Isma Mahama, and Muslim Sahawabgu Majeed is our three months old son.